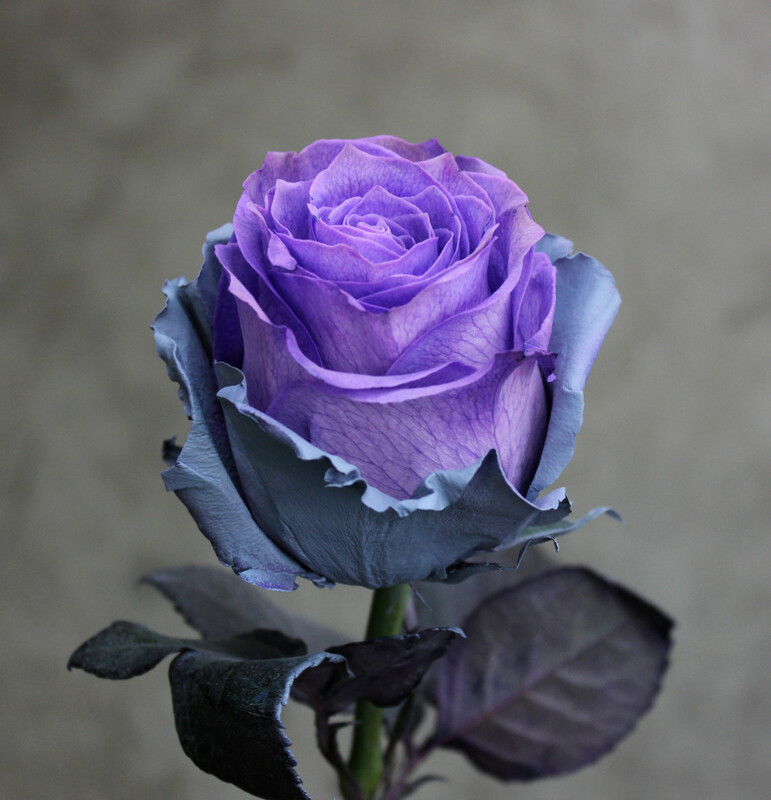 Tinted Lady In Gray Mo is a dye injected rose with painted guard petals. 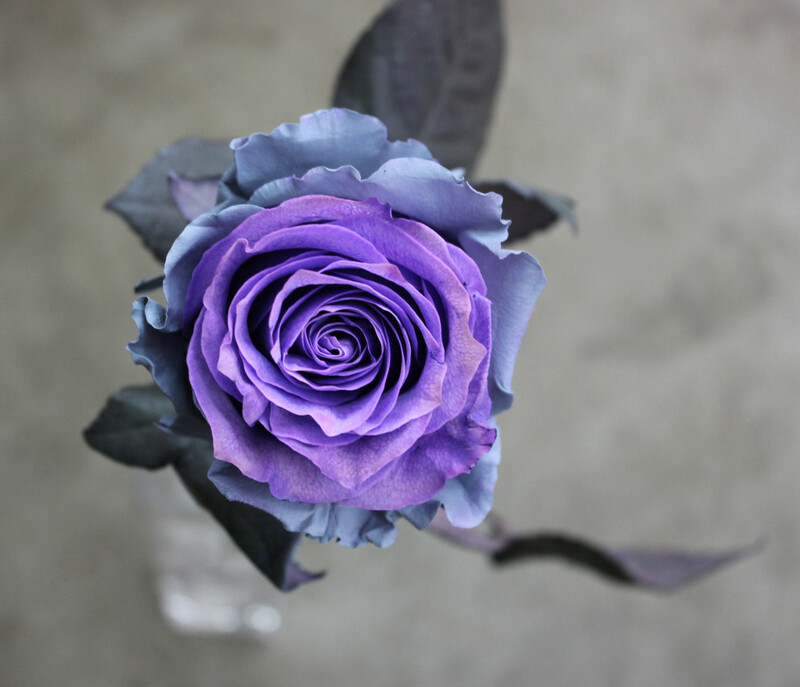 The injected dye turns the inner petals purple and the guard petals are painted gray. 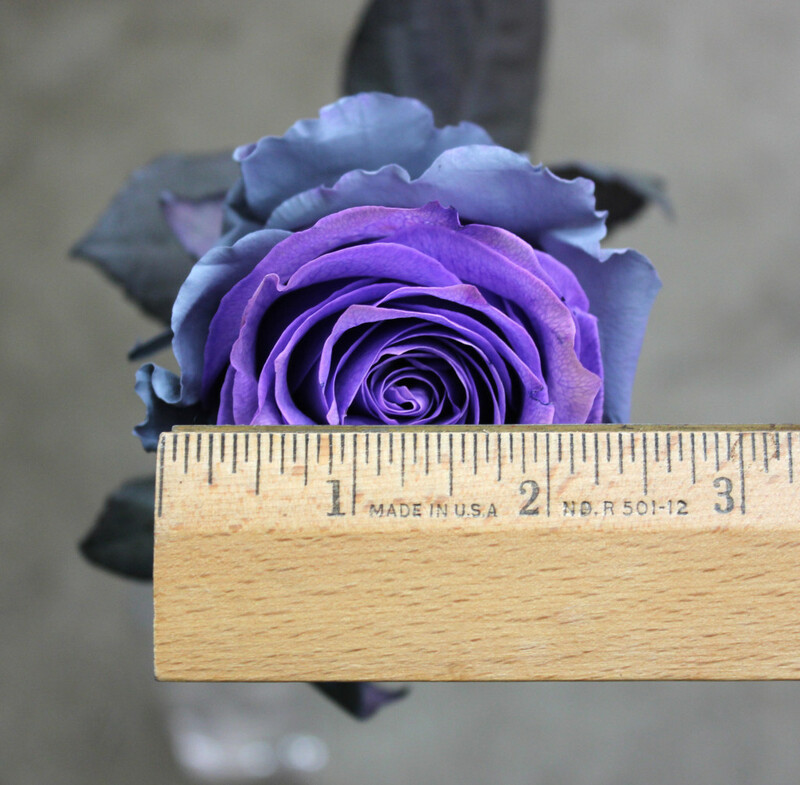 This rose measures to about 2.5 inches in diameter. Lady In Gray has thorns and a very slight fragrance.